East Coast Amateur Boxing Academy is an old-school traditional boxing club. It is a no frills , fun, and safe way to encourage good fitness and a healthy lifestyle for all. Boxing is an exercise, a skill, and a sport. 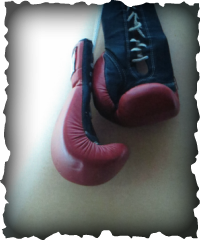 People who learn to box also develop courage, determination, and strength of character. It is an activity for anyone no matter one's gender, age, or fitness level. Come and check out one of our classes. We have something for all! Women's, Mixed, Senior, Competitive, and Private classes are all available.